This mauri stone represents the life force of the building. The stone and the building are both considered to be living entities. 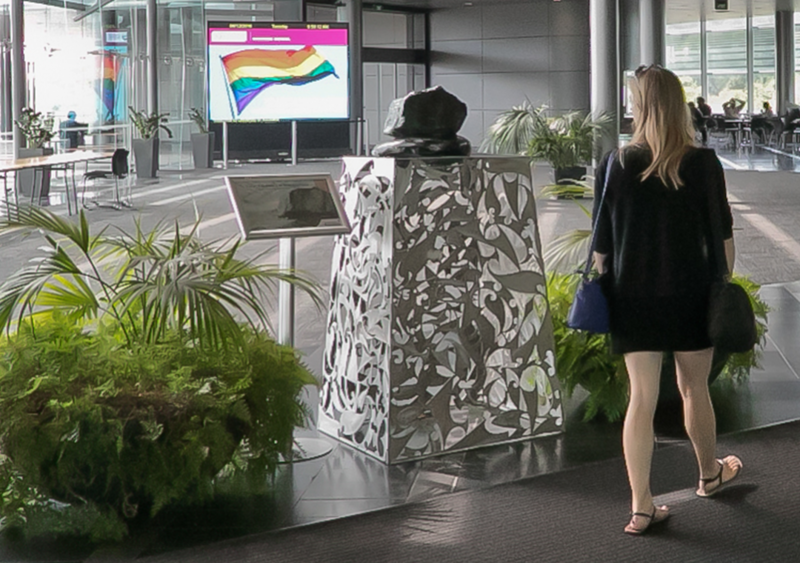 Here, the mauri stone is located in the foyer of the building where many people are able to acknowledge it. 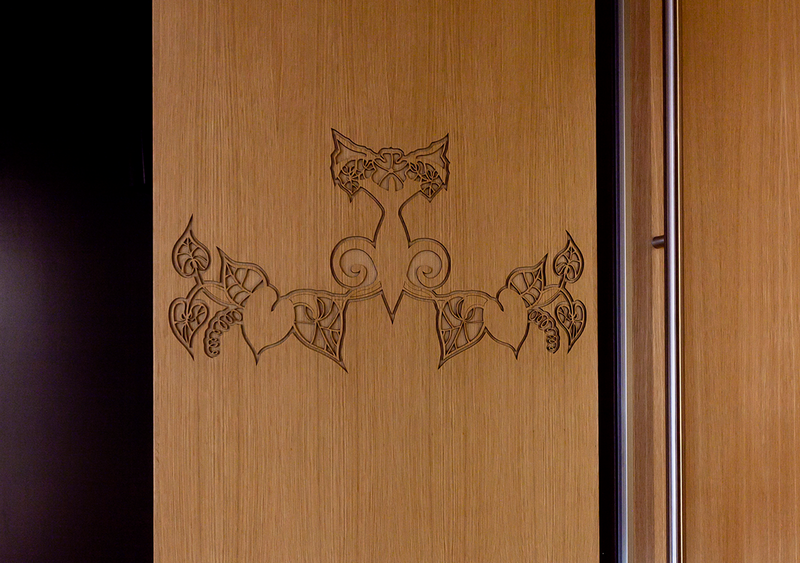 Lonnie Hutchison’s kowhaiwhai patterns frame the passageways on each floor. These mark the transition between spaces that have different functions. In this case, the artwork marks the transition between corridor and movement spaces, into an exhibition space. Typically, thresholds are marked when there is a transition between noa (common) and tapu (sacred). This tukutuku panel, woven by mana whenua artists, represents both a vision for the building and functions as signage at the building’s entrance. Tukutuku panels traditionally are an expression of the relationship between people, place and time. In this case, it speaks to the binding and coming together of people, which relates to the vision for the building, and it’s intended function in the community. 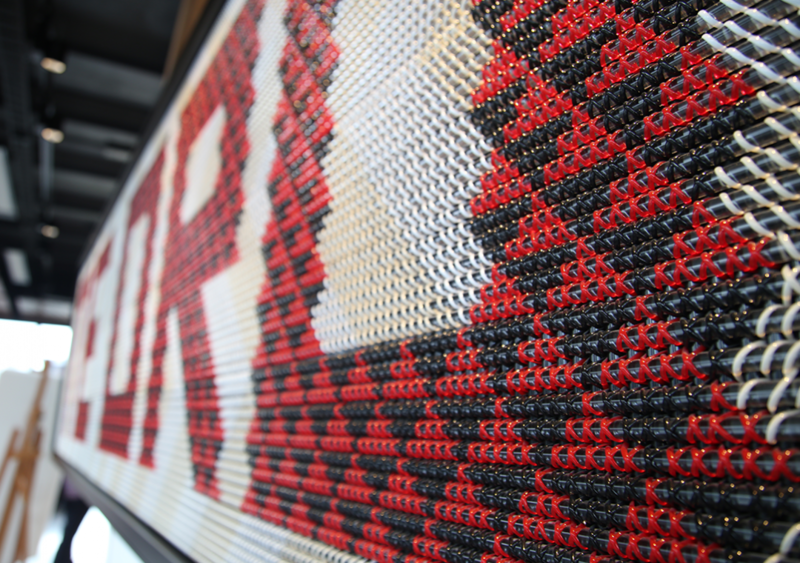 It also speaks to the weaving together of key relationships between Mana Whenua artists from that area.